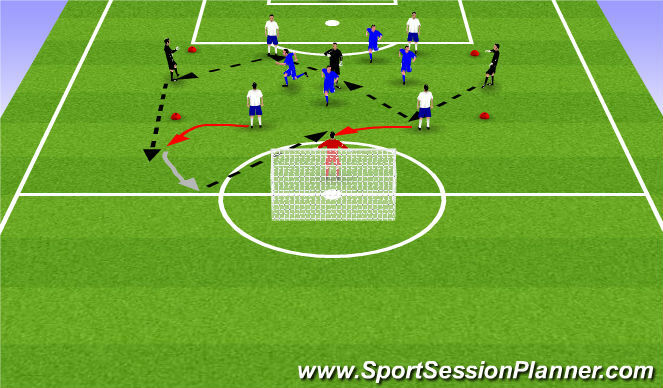 Groups of 4 work on combinations and finish on goal against cones/mannequins. 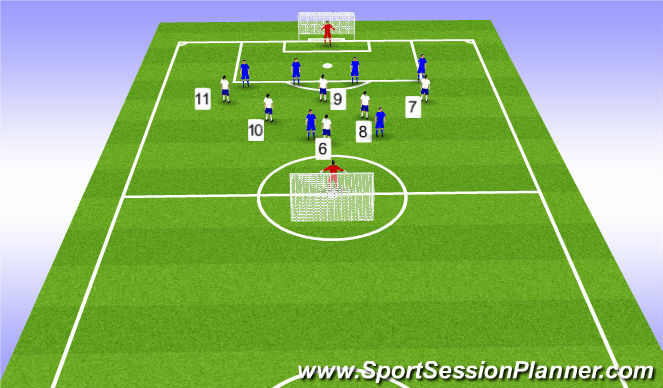 3v3 in the box with 3 neutrals on outside of 18 yard box. 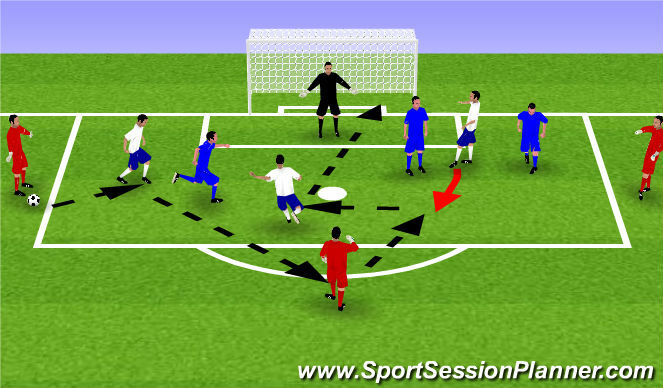 Once possession is won, must play through a neutral before going to goal. After 5 (increase to 10 if too easy) passes, team in possession can attack either goal. 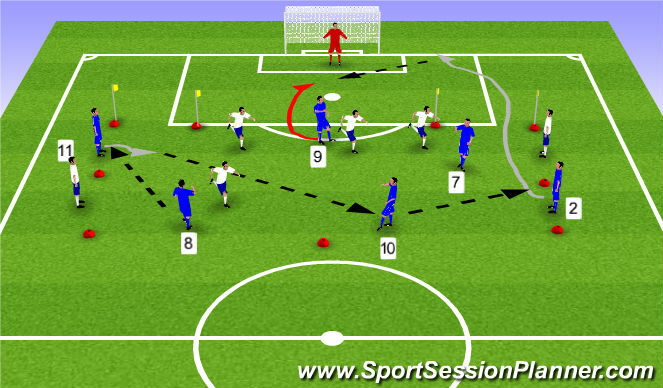 Team in possession must connect both wide players before going to goal through the wide gates. 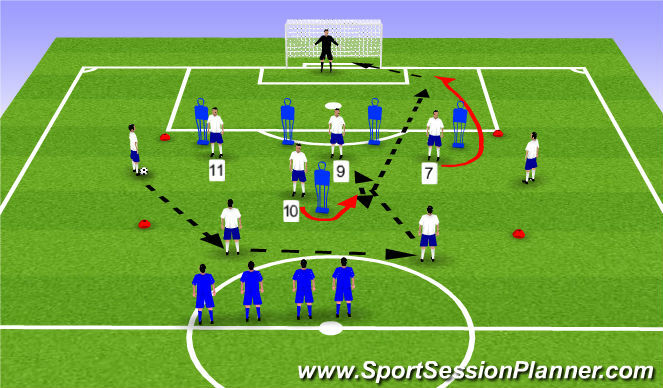 When ball is played wide that player enters the game and passing player takes their place.